Jurassic Walkway and Patio Stone is perfectly named. The stone looks like it has fossils in it. The waves, lines, and splashes of color are hard to describe but we'll give it a shot. The base color in beige and medium tan with strong accent colors including brown, black, orange, and gray. Jurassic Walkway and Patio Stone looks like it has fossils in it and the stone invites you look closely for something you recognize. The finish is smooth but not slippery. The stone is easy to work with and is one of the more unique Landscape Stone choices we offer for walkways, patios, pool decks, spas, outdoor kitchens and other outdoor landscape areas. Please stop by and take a close look at Jurassic Walkway and Patio Stone - we think you'll find it unique and interesting. Jurassic walkway and patio stone. A very unique, new walkway and patio stone. Beautifully named - it looks primitive with some colorations almost resembling fossils. Not easily described. The base color is a light tan, but on top of that are countless brown tones, with some occasional black accents an hints of other colors. A slightly textured surface that is not slippery. Pieces are cut to exact dimensions so coverage is dependent on how much you buy. 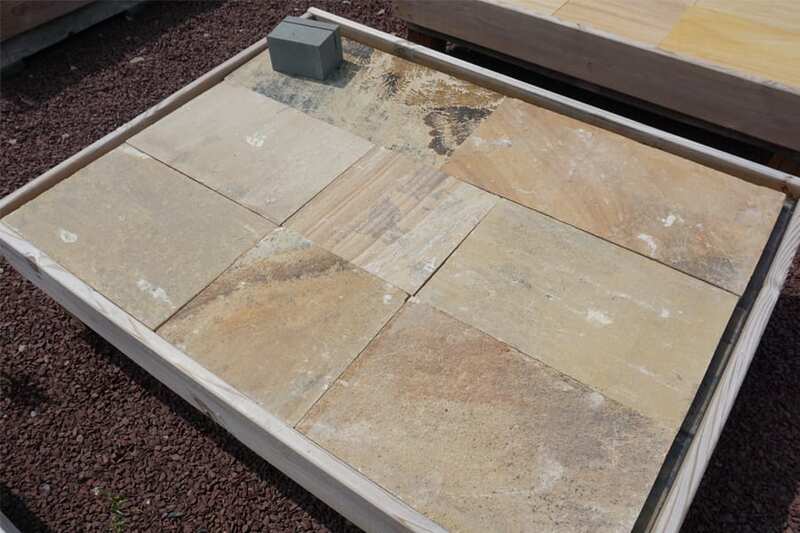 A typical pallet of 1.5" patio stone will cover an average of 180 square feet. 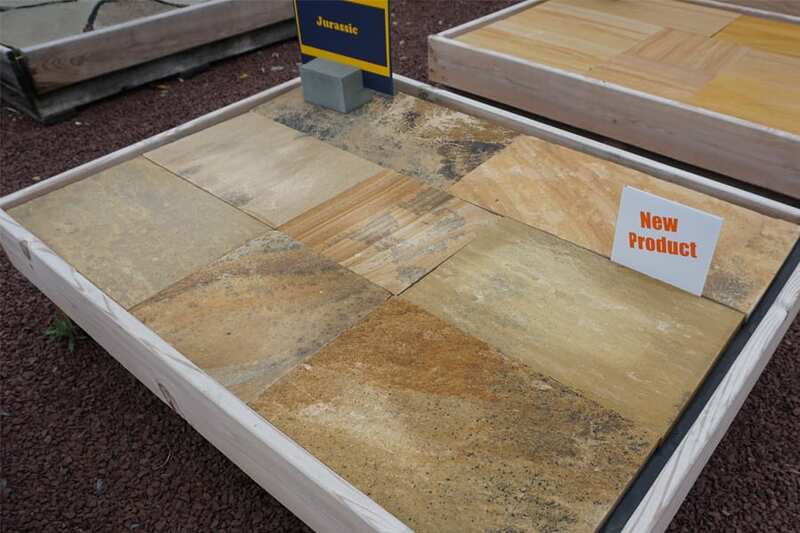 A new choice at Wicki Stone - NJ's largest natural stone yard. Jurassic is perfectly named - it just looks primitive. Colors and patterns of colors are endlessly variable and fascinating. Distinctly light in it's base color - the accent colors and patterns can range from modest to significant. Colors get much deeper when the stone is wet. A very unique walkway and patio stone. Very easy to work with. Jurassic stone is uniquely colorful and aged in appearance. Colors become even deeper and more prominent when the stone is wet. 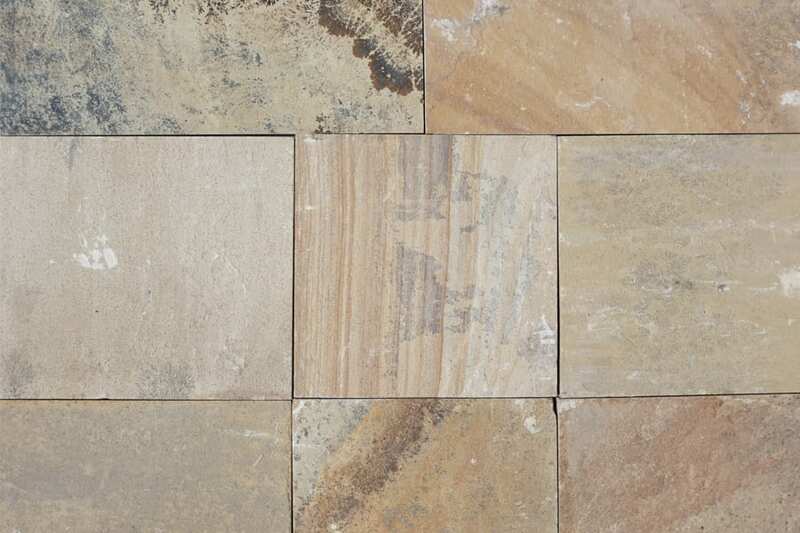 Wicki Stone does not carry any products that closely match Jurassic walkway and patio stone.